I’m very personable and hands on from small to big projects. We are very flexible with customers on their ideas and changes during the project. 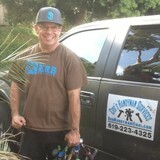 Otay Eastlake Handyman is located in Chula Vista Ca. We pride ourselves on doing each and every project the right way the first time no matter how big or small. 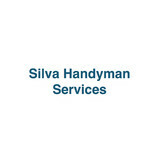 We also guarantee all of our work is done to your standards. That means the work is done like you want it – the most important guarantee of all. Providing a page to help home owners through everyday or weekend duties while improving your home, our communities! The San Diego 1/2 Price Handyman is your one stop shop for all San Diego home improvement and business related services. We are always on-call for our clients and can usually schedule appointments within 24-48 hour periods. If you're tired of unreliable and poor service, look no further than the San Diego 1/2 Price Handyman. A majority of our clients refer us to their friends and family, and we always love repeat business. We can perform all types of jobs like kitchen & bath, outdoor landscaping, plumbing, electrical, drywall, pressure washing & cleaning, tile installation, wood flooring, carpets and more! 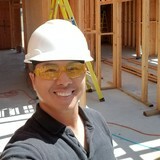 What can a local Bonita handyman do? While home handyman services in Bonita, CA usually cover most of these things, sometimes it’s better to hire a specialized professional so do certain jobs, especially if it’s related to major plumbing or electrical fixes. Here are some related professionals and vendors to complement the work of handyman: Heating & Cooling Sales & Repair, Plumbers, Electricians, Roofing & Gutters. Find a Bonita handyman on Houzz. Narrow your search in the Professionals section of the website to local handyman servicesin Bonita, CA and read reviews and ratings to find one that fits your needs.